At CES 2018, the usual circus of new products, experimental devices, and moonshot projects seem to have a common undertone: AI assistants. At almost every turn, you’ll find something, be it a “smart display”, a TV, a car head unit, or a door lock that integrates with Google Assistant, Amazon Alexa, Apple Siri, or even Microsoft Cortana. The age of the personal AI assistants have come, and it all started with the somewhat unassuming and still really bewildering smart speakers. We take a brief look at some of the best ones in the market, and some still to come, and why, despite their appeal, they might not exactly be worth your money just yet. What makes a speaker smart anyway? 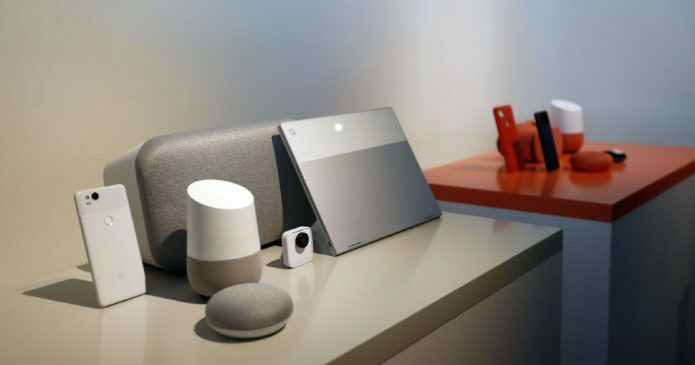 With the increase in number of speakers, from portable ones to the sound bars near TVs, that can accept streamed content from the Internet or your phone (thank you Google Cast! ), the lines have become at bit blurry and will be even more. It all started, however, with an odd, cylindrical speaker whose audio capabilities really only came second to its smart functions. The Amazon Echo, ridiculed as it was at first, can be credited for having kicked off this new market of speakers whose primary purpose is primarily to listen to your commands and only secondarily to entertain you. But it seems that the market is coming full circle and at CES 2018 we saw quite a number of products from mainstream speaker manufacturers that integrate one smart assistant or another. In the very near future, there might not be much to differentiate smart speakers from simple Bluetooth speakers at all. Once upon a time, you only had two choices when it comes to smart speakers. Now more like smartphones, there is almost a smart speaker for every need and style. Without further ado, here are some of the best smart speakers available in the market this year, some of them still coming but really, really soon. If all you really need is the basics, or if you want to litter your home with smart speakers, then you can do no wrong with the smallest smart speakers in town. The Amazon Echo Dot and the Google Home Mini represent what Alexa and Google Assistant can do at their simplest, while still having some option for some very crude music playback. Audiophiles will hate them though. If, on the other hand, you believe that a smart speaker should sound as good as a regular speaker, then the gigantic Google Home Max might be for you. What you gain in audio quality, however, you sacrifice in space and in price. It’s not exactly the cheapest option around, but it does mean you won’t have to buy a separate, better quality speaker to connect to your smart speaker to get the same results. Then again, you don’t need to be big to be good. The Sonos ONE straddles that fine line between smart speaker and Bluetooth speaker. The small cylindrical audio accessory might look like a Sonos PLAY:1 with a smart assistant slapped on top, but it’s anything but. It shares only the same look but everything in side, including its deep integration with Amazon Alexa, is new. Also new is the promise that the small speaker would actually host both Alexa and, soon, Google Assistant, though that has yet to materialize this year. If you already have a Moto Z phone, however, you might not even need a separate standalone speaker. Thanks to the Moto Mods concept, you can slap on a speaker on a compatible Moto Z smartphone and enjoy the perks of having Alexa with you anywhere all the time. Presuming you don’t mind everyone around you hear your conversation. And presuming, just like with the Google Home Mini and Amazon Echo Dot, you’re OK with mediocre audio quality. Another somewhat ingenious and almost related concept is Lenovo’s Home Assistant. In practical terms, it’s an Amazon Echo that works when you attach a Lenovo Tab 4 tablet. In other words, a modular Echo Show, and a more useful one at that. Just like the Moto Mod phone version, it practically locks you into using a Lenovo Tab 4, but you can at least use that tablet for other purposes even when you don’t need to talk to Alexa. At CES 2018, Google introduced a new breed of Google Assistant speakers. Or rather, smart displays. Of the three to first come to market, the Lenovo Smart Display is perhaps both the most stylish yet also least odd. Adding what is practically a fixed tablet with a front-facing camera, this iteration of the smart speaker expands the capabilities to video chat and, everyone’s favorite topic these days, YouTube. If you’re an Apple user, however, you really have no choice but to wait for Apple’s HomePods. Although terribly late to the game, being the only Siri-enabled speaker ensures that it will have prominence, if not total monopoly, in the Apple smart speaker market. And being an Apple product, you can bet it will still sell well, all things considering. Just as how smartphone promised, and did, put the world under our fingertips, smart speakers promise to obey our every word, our every question, and our every whim. While they started out mostly as disembodied voices that told you the weather or helped manage your grocery list, they have grown to include playing media, even videos, to controlling your home. Indeed, the simultaneously growing connected appliances market go hand in hand with smart speakers, making them into the voice-controlled smart home hubs you once only saw in science fiction. That’s pretty much the basics of what a smart speaker is about. It is only recently that manufacturers and platform makers have decided to put a face on the speakers, but the primary mode of interaction is still the same. Be it Google Assistant or Amazon Alexa, or even Siri or Cortana, their talents are dependent on the available sources of content or control. And judging by the growing number of content on the Internet and smart appliances, those talents are bound to increase manifold. At the moment, however, that’s pretty much all that they’re capable of. These smart speakers are smart thanks to the AI assistant living in them. But even these AI assistants aren’t exactly smart enough yet to be of practical use in the long run. Sure, it can tell you the weather later in the day or even tomorrow. You can even ask them in an indirect way (“Do I need to bring an umbrella tomorrow?”) and they’ll correctly guess what you really want to know. They won’t however, offer you that information unless you ask for it. And in case you forgot to ask, it’ll sit as a silent witness to your human inefficiency and fallibility. Smart assistants have yet to reach a level of intelligence to really know what we need when we need it or even before we know we need it. Some smart appliances, mostly lighting and thermostats, try to learn from our own behaviors and actions but most have to be programmed or set anyway. But most importantly, these smart assistants, and the smart speakers they live in, have to strike the balance between offering unsolicited but needed information and being intrusive. Smart assistants have to become even smarter for smart speakers to be useful. But, the thing is, we might not need smart speakers at all. Those smart assistants, except for Alexa, started out their lives inside our phones, and those are increasingly becoming more powerful and more useful than any smart speaker could be. They’re with you anywhere and everywhere. You can take them into any room in the house or even outside the house. You even switch between the assistant of your choice when possible. Of course, even the best smartphone has nothing on a loud, high-fidelity, high-quality speaker. And they don’t need to. Prior to the sudden arrival of smart speakers, phones can simply cast their audio to speakers, or even their video to TVs. Granted, you might not be able to use your phone separately while doing so, which does make at least one case in favor of a dedicated smart speaker. Smart speakers aren’t coming. They’re already here, whether users and even platform makers are ready for them. It’s a fast-changing market that may have caught many unaware. And it doesn’t seem like a fad that’s going away anytime soon. Like smartwatches, these speakers started out as answers looking for questions. Unlike smartwatches, however, it seems that companies see them as better and easier cows to milk. It might be too early to invest in such a device while waiting for the platforms and software to mature. But in case you do want, or even need, one, you at least have plenty to choose from, even on a tight budget.